Home UK Cat News Get Paid For Hanging with Kittens? 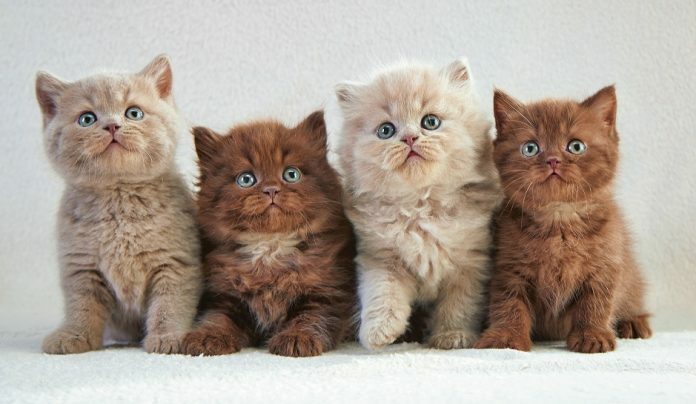 Get Paid For Hanging with Kittens? MILWAUKEE — Want to get paid to hang out with cats?! Sip & Purr, Milwaukee’s new cat cafe, is hiring! They’re looking for “the best of the best cat obsessed humans” to work part-time in the cat lounge. Responsibilities will include caring for adoptable cats, assisting and educating guests on cat behavior and cat care, handling adoption inquires and cleaning. Requirements include cat rescue, fostering or veterinary experience, a love of people and cats, as “caring for our cats and guests is the number one responsibility of “Cat Lounge Concierges,” and experience cleaning — including litter box duty. You must also be available mornings, nights and weekends, have a reliable work record and provide at least two recent work references. Owners are looking for people who are punctual, flexible, dependable, trustworthy and a team player. Other requirements include a love of educating on cat care, cat behaviours, cat nutrition and more. You must also be willing to sign a non-disclosure and non-compete clause.